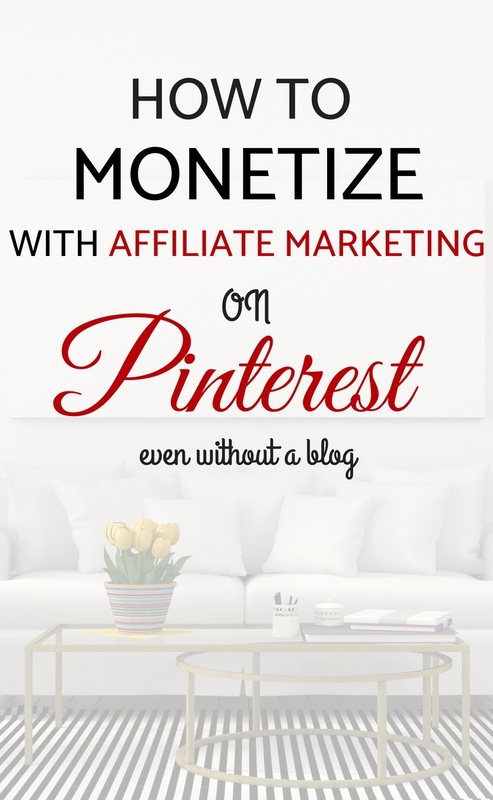 How to monetize on Pinterest using affiliate marketing? How To Use VENNDY To Monetize on Pinterest and Become a Trusted Influencer? Affiliate marketing has been chosen as one of the top two revenue generators for publishers. To learn more about what affiliate marketing is and how to start using it, you can read the following blog posts on affiliate marketing: The Basics, The Complete Beginners Guide and The Best Affiliate Networks for Beginners. To help you get the best of your Pinterest reach, here and at the end of this post you can find our Best Practices Guides for Pinterest as well as some guidelines related to using affiliate links. What do we cover in this post? We start by explaining why Pinterest is a great platform not only for sharing your content but also for using affiliate marketing, which, when done right, can benefit both you and your readers. We then explain the importance of sharing experiences and not simply throwing around affiliate links with related product images. You can use VENNDY's tools to collate products, places, and services around one pinnable image. 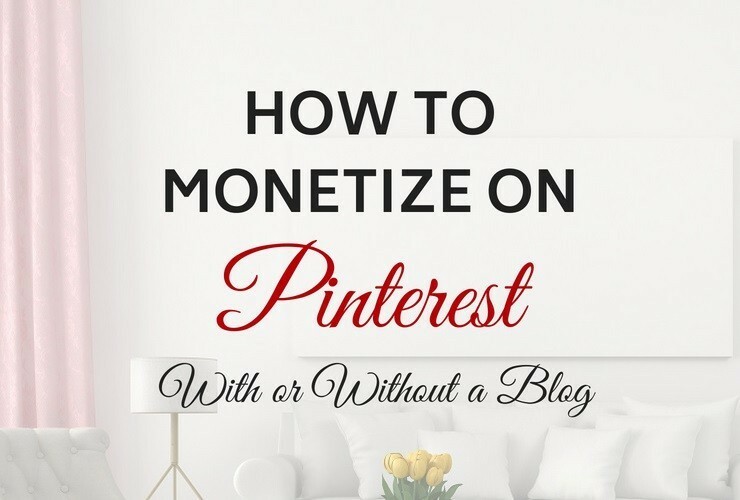 We show you how you can use your content (blog posts, Instagram posts, reviews and other) to monetize on Pinterest. We show you how you can create a collection of items (with tips and recommendations) to share a full experience on VENNDY, even if you don't have a blog. Yet, in order to monetize your content, you still need to join at least one affiliate program. Make sure to read Affiliate Marketing – Best Practices: Are You Ready To Join? We sum up with explaining how you can use Pinterest to become a trusted influencer. Pinterest is more of a search engine, based on words and hashtags and with a strong emphasis on appealing images that drive a message. Simply type in the Pinterest search field what you are looking for, be it related to blogging, travel, recipes, or DIY queries and you’ll see suggested destinations. Pinterest has grown into a huge selling platform where visuals are a major factor. It’s a visual and text search engine, which makes it another option for sharing your suggested items and places, monetizing and earning money from promoting other companies’ products through affiliate links. Pins have the longest lifespan than items on any other social media platforms, which makes it a great infrastructure for longer term earnings, if what you sell is still relevant, even a year ahead. This can help you create passive income, as long as you do it right. 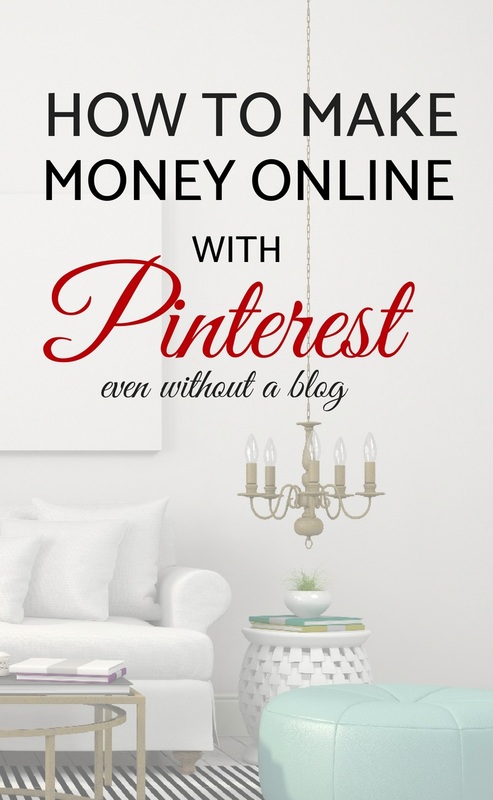 You can use Pinterest to monetize even if you do not have a blog, provided you associate with a suitable affiliate network or program. 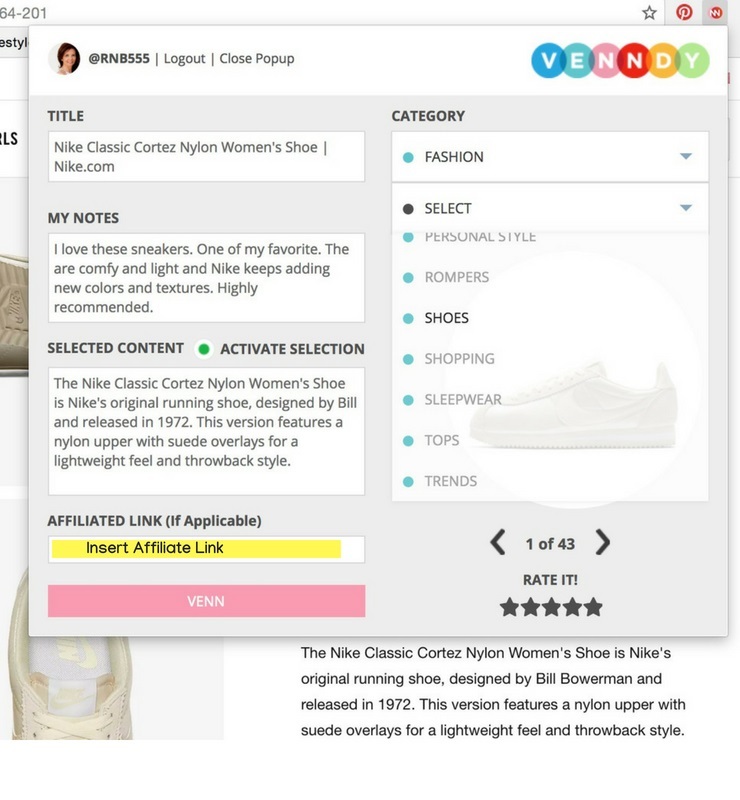 However, you can only insert one affiliate link on each of your pins; using VENNDY will allow you to break down an experience you’re sharing into items, each with its own related affiliate link. 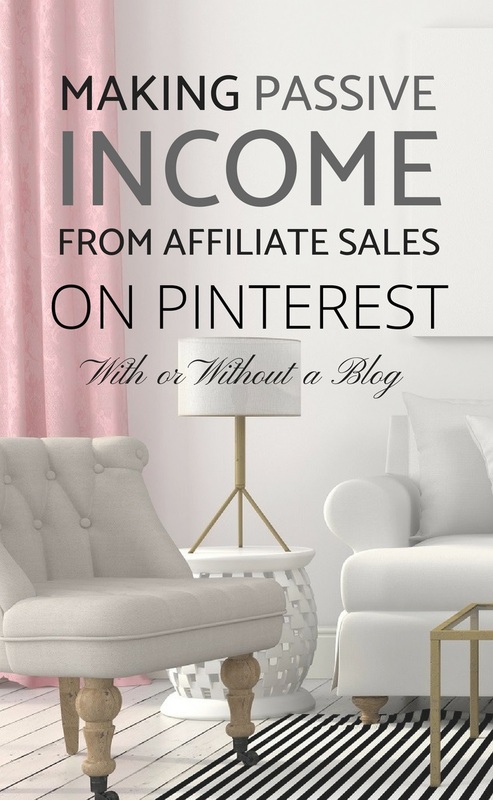 The simplest way to monetize on Pinterest using affiliate links is by adding your affiliate link to the given URL text box. But, as those of you have tried will know, there's more to affiliate marketing than just throwing links anywhere and everywhere; you must still follow the basic techniques for building immediate virtual reliability. That doesn't mean there aren't any successful product pins out there... they are usually beautifully shot, with good dimensions, where you can really get a good feel of the product. Not one of those small blurred images. There might be a good overlay text and a great description that can do the work of explaining the product's advantages and at the same time uses search-friendly wording. Having a clear Pinterest strategy also helps. For example, if you're focusing on stationary products and have your boards well arranged, this can help users find that beautiful product image you are using... however, this is not the case most of the time. The best thing to do is to pin experience-related images that tell a story. Pinterest recommends using Lifestyle Images rather than a single product. People are looking for help in contextualizing a given product. They want to know how to use the product, how to style it, what to wear with it. For travel bloggers you should share where to go, what to see, where to stay, what to take, arrangements, itineraries, etc. The fuller the experience, the more helpful and convincing your recommendations. 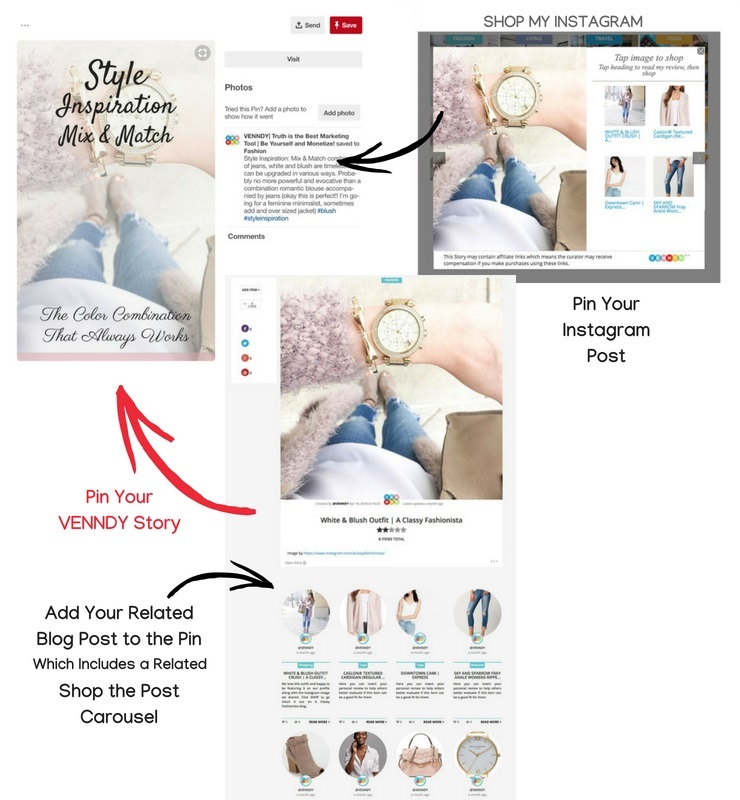 VENNDY’s tools are designed to provide a comprehensive experience; you can create multiple graphics for pinning, all sharing a collection of products, blog posts, places, and links, and all related to the story you are telling but broken into clickable, shoppable items. 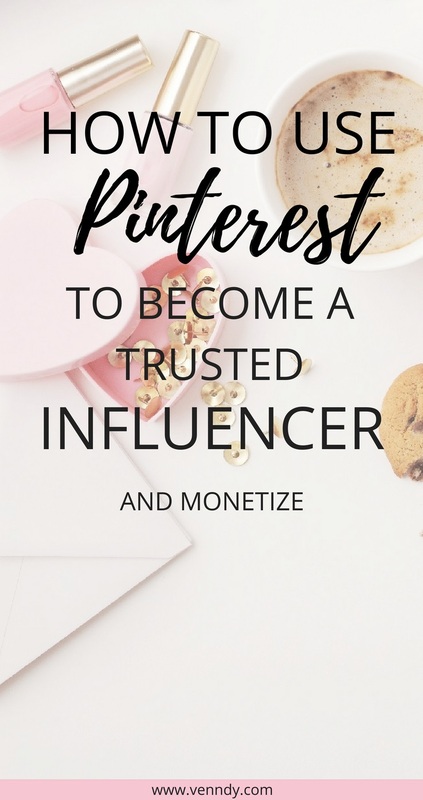 While Pinterest is great for sharing this content, you would do best not to rely on Pinterest as your sole tool for monetization, but rather to share your experiences on your blog and/or other social media sites such as Instagram, Facebook, YouTube, and more. Make sure to check out our Best Practice Guide for Pinterest and How to Make Affiliate Marketing Work and Succeed as an Affiliate in any Niche, as well as THIS post by Tailwind with a live Facebook interview with the head of product marketing at Pinterest covering SEO practices and some of the latest changes to the platform. 1. Click on the Link Generator which belongs to the affiliate program that promotes it and copy the affiliate link. 2. 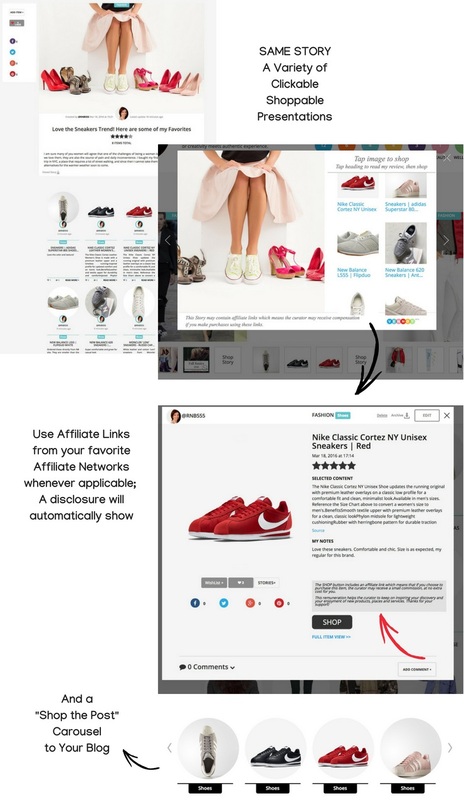 Click on the VENNDY LinkCollector (the Chrome extension you downloaded from the Google Store) and paste the affiliate link you copied into the indicated text box. 3. Choose the image, category, or sub-category, edit the title and add your notes with as much explanation as you can give about your experience with the product. 4. Choose the board you want to pin it to using the Pinterest Share button. The advantage of using VENNDY Item Page to pin a product is that you can include the product details from the original website as well as your own review about the product and then use the Pinterest description text box to include the wording that will best help your pin be found by others. The other advantage of gathering your recommended items to VENNDY is that you can then use them over and over again in collections of items that will be pinned as part of a full experience (for example, an outfit, a recommended vacation with suggested items to take along, or inspiration for a dinner party with recipes, serveware and even a suggested outfit). The image of your experience (uploaded to a VENNDY Story) can be taken from one of the products you're linking to or from an original photo or collage. There are no special measurements for the Story’s image. In order to match it to your Instagram feed, you are advised to use the same image and then use customized pins for maximum exposure on Pinterest. Find out more about how to collect items here and build a Story (Items Collection) here. You can add a product description, review, and rating in which you can explain why you love this product. The pin description can be used for adding relevant words and hashtags that will increase it’s chances of being found on Pinterest. HOW CAN YOU USE PINTEREST TO BECOME A TRUSTED INFLUENCER? We believe that influencers should be compensated for their creative content when helping others make better, easier and more personalized choices. You will probably agree that helping others is a crucial factor in any monetization model. Read more about How To Make Affiliate Marketing Work and Succeed as an Affiliate in Any Niche. Conversion means you can monetize your content, time and effort. Of the many monetization methods used by digital publishers, affiliate marketing is the one that most encourages dependable relationships. It is around this concept that we built VENNDY with tools to help you easily share your experiences with your followers and help them easily access and save all the recommendations they value. 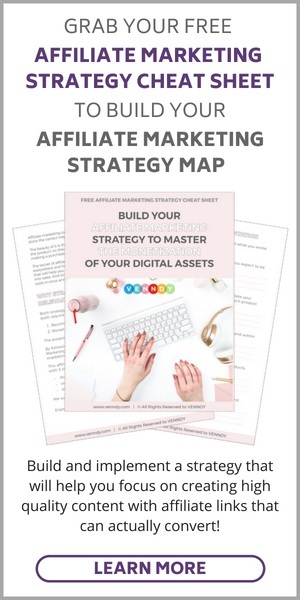 Building these connections online takes time and effort, but once established, you can enjoy monetizing your creative content as you become a trusted maven or expert in your field. It is not just about pinning endless products with affiliate links to Pinterest but also about telling a story by sharing a full experience. The clickable links break your story into shoppable items. This way you provide your followers with greater value by improving the way they discover new products and businesses online. Create multiple pinnable images. One of the advantages of Pinterest is that you can create multiple images with different languages and different descriptions to help you check what works best in terms of visuals as well as text. Posting a variety of graphics will keep your links fresh and pinnable. 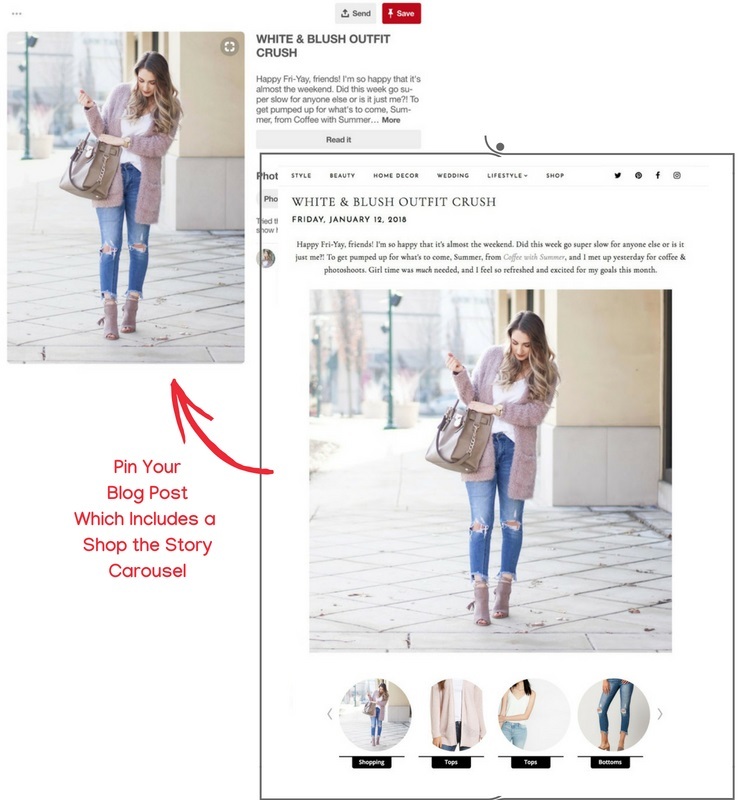 Well designed pins are key to increasing your exposure on Pinterest and the greater your reach, the higher the chances that someone will buy one of your recommended items. Therefore, you want to make sure that your pin dimensions work well on Pinterest. We found that images with the dimensions of around 740 X 1100/1200 work well, without having the image cut on the Pinterest feed. 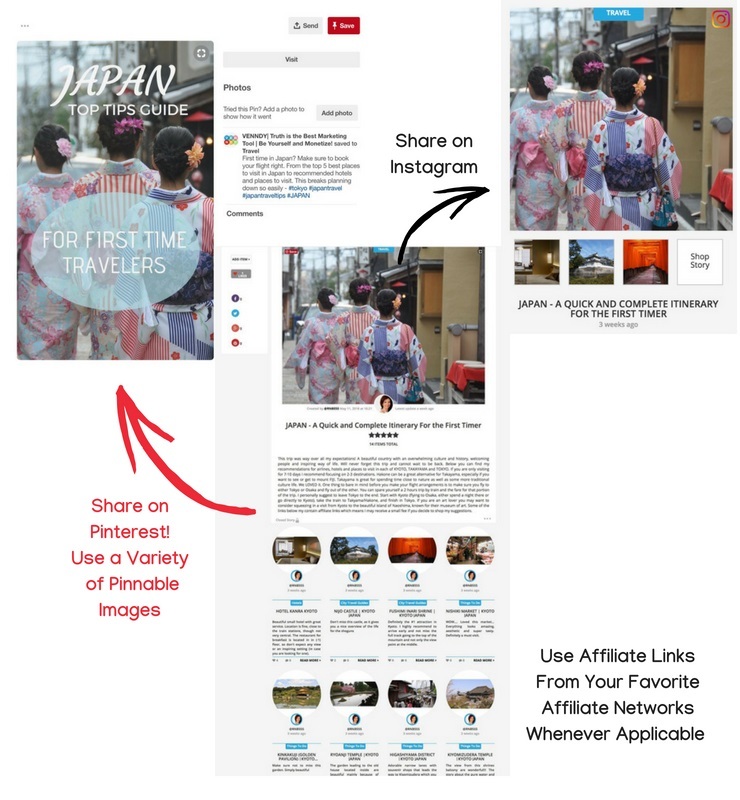 In any case, even with a longer image, pinners will still see the full graphic when they click on it. Use relevant language to describe your pin’s content. Using the same text on the image and text is advisable. To find out what wording would best work for your pin, use the search box to explore what’s trending on both the combinations suggested on the drop-down search and the tabs showing just below the search box. Make sure you name your boards with specific names and add a detailed board description that uses relevant words and hashtags to your content. Consistency on Pinterest is key! Better to save a few pins daily rather than many pins a few times a week. This will help you maintain a steady flow for maximum engagement. You can utilize a scheduling tool like Tailwind to help you manage your pinning routine. Don’t delete any of your old boards or pins since existing information and past engagement help Pinterest better understand your content. Rather than deleting keep saving to those boards to maximize their influence. It’s more beneficial to continue using a single board with a longer history than creating several new boards with shorter histories. If you still prefer not to use a certain board, you can always turn it into a secret board. Update your profile to a business account and claim your website. Save the same pins to multiple boards with both broad and specific categories for increased exposure. Turn on the Showcase feature on Pinterest to feature your top 5 recommended boards at the top of your Pinterest profile. If you insert an affiliate link on your pin’s link and direct users straight from Pinterest to the brand or retailer to shop, make sure to follow the required FTC guidelines. Make sure you own the rights to the images you use. Read more about How To Make Affiliate Marketing Work and Succeed as an Affiliate in Any Niche. If you have found this post helpful, please consider sharing it with your community to help them make the most of their Pinterest reach. Using VENNDY’s tools you can curate your recommendation once, add your affiliate link and then share it across all social platforms (Facebook, Instagram, Twitter and more). Make sure to also read about How to Monetize With Custom Built Carousels Using Your Choice of Affiliate Networks and Programs. VENNDY allows you to collate more than one product and share a whole experience which builds authenticity and help other make better purchase decisions based on their needs.